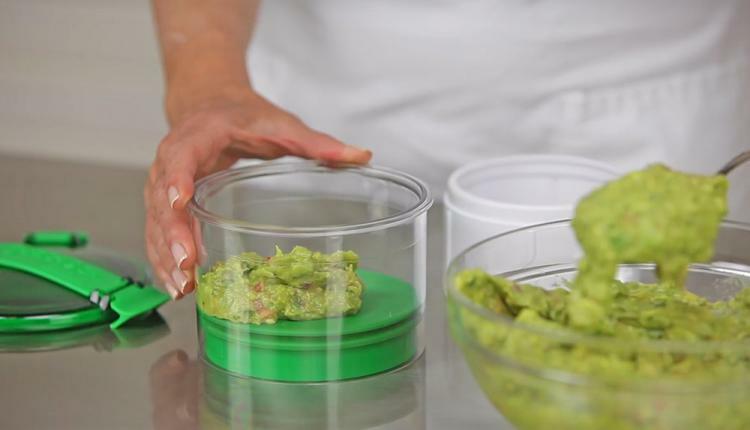 What's the worst thing about making guacamole? It's that whatever you don't eat will be brown and horrible looking within an hour, no matter if it's put immediately into the fridge or not. 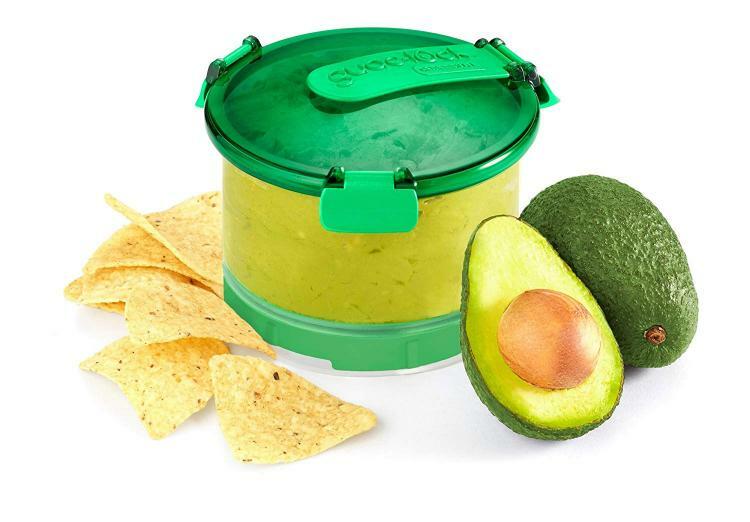 Luckily, the Guac-Lock is here to save us from this brown guacamole hell we all currently live in. 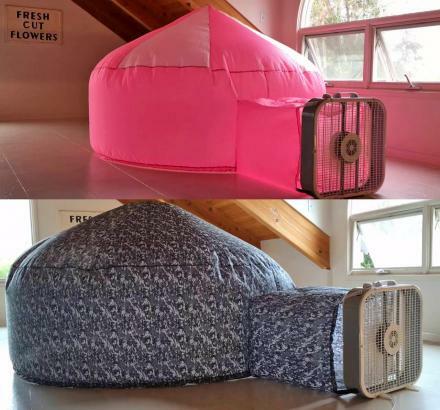 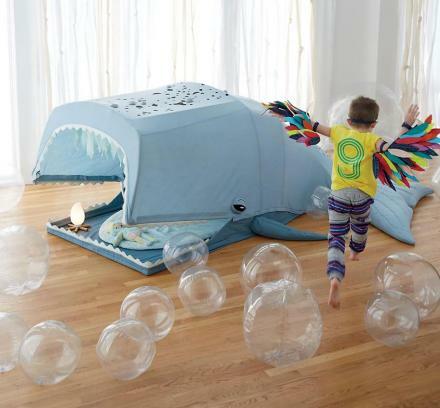 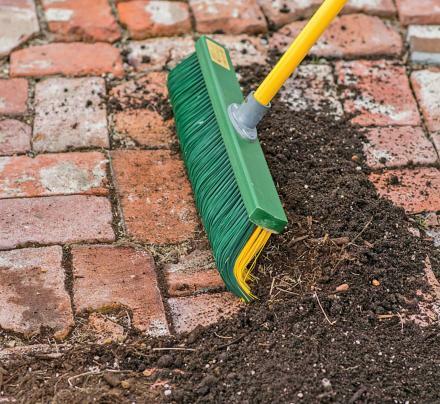 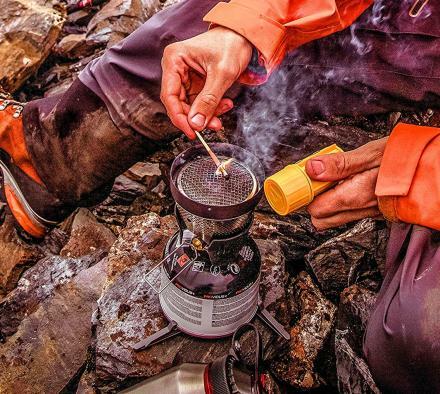 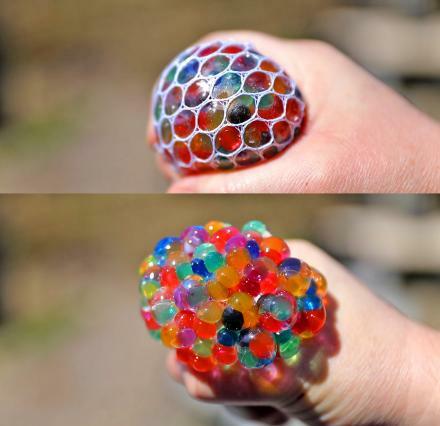 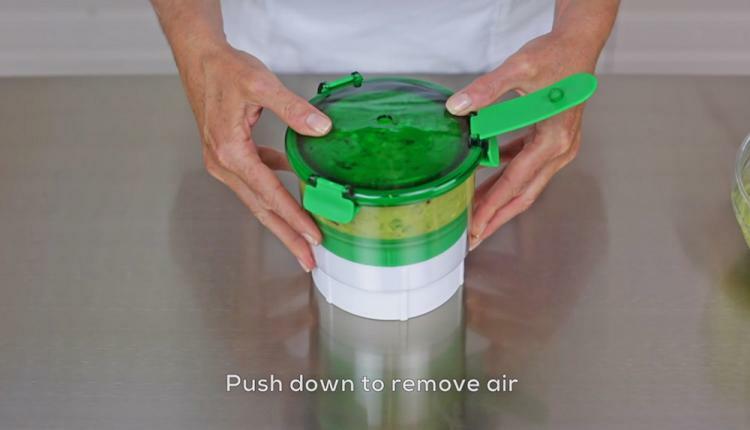 It creates a vacuum seal so that no air is left behind inside the container to turn it brown. 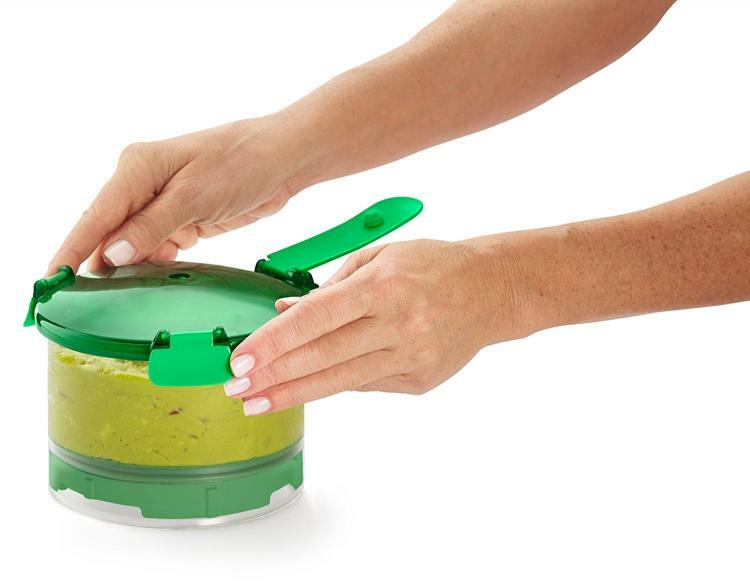 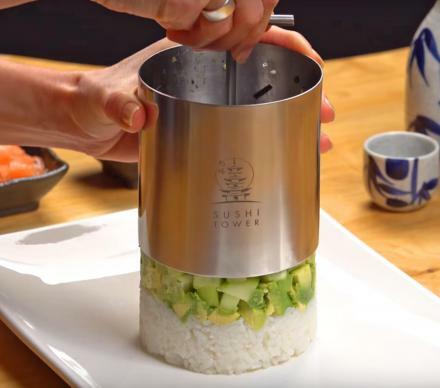 The guac-lock uses a unique mini elevator feature that allows you to push all of the guacamole you have to the top of the container where a lid is attached with a small hole in the center of it. 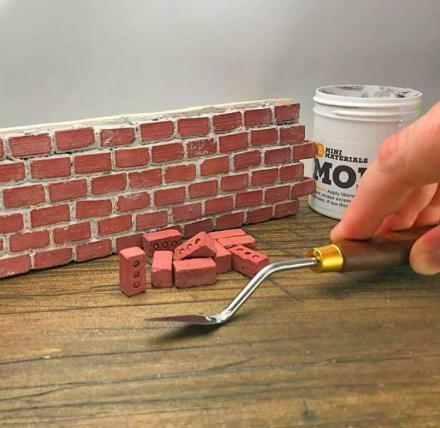 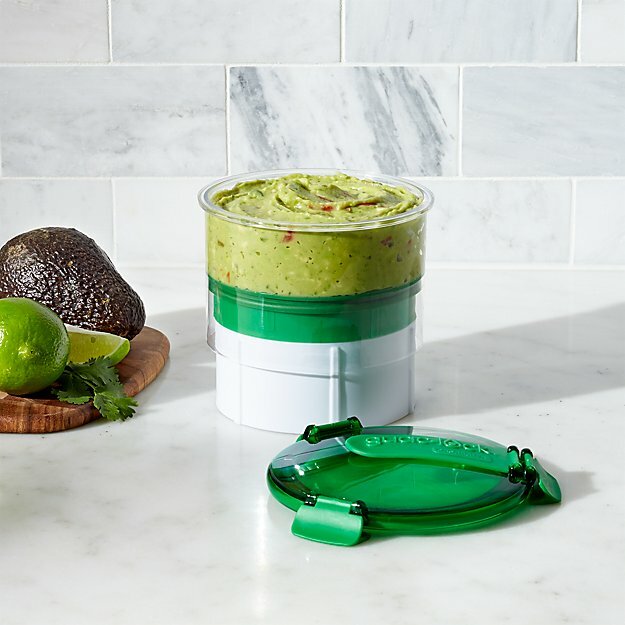 Once guacamole starts to push through the top hole, you can close the hole with the attached clip and be assured there's no air left within the container to turn your guacamole brown. 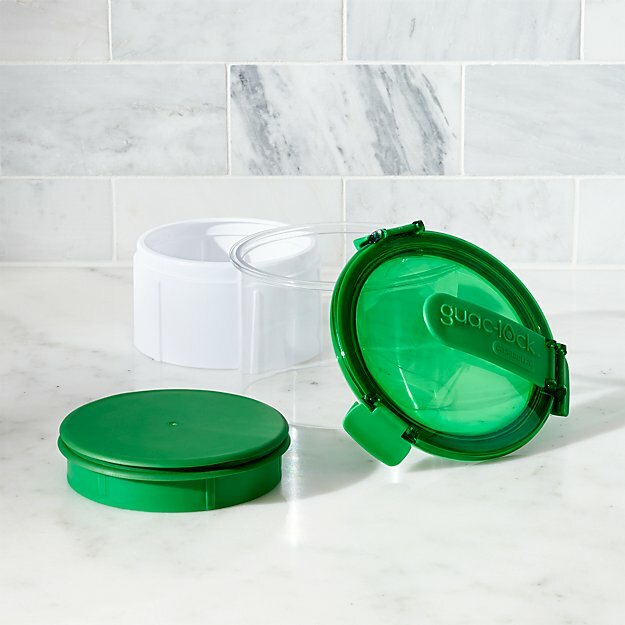 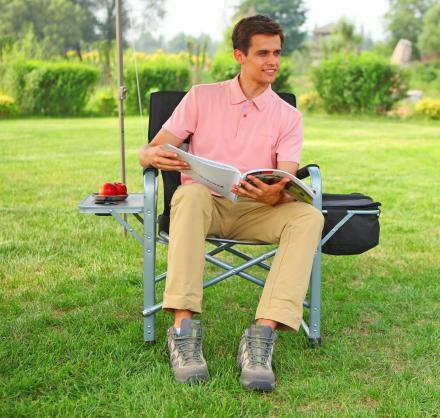 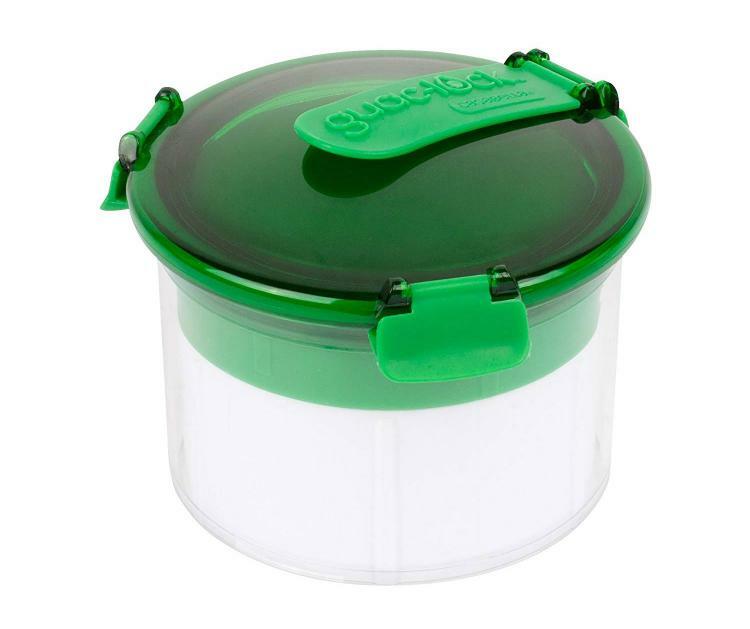 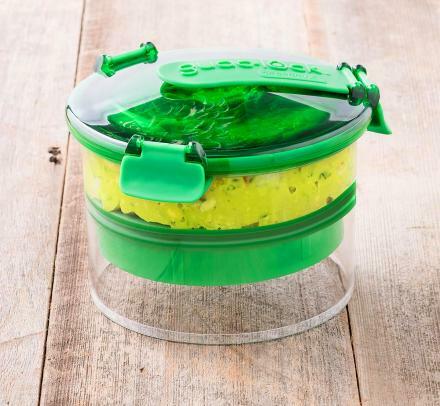 The Guac-Lock comes with an optional tray that perfectly fits the Guac-lock container so that you can effortlessly go from serving guacamole to storing it within seconds. 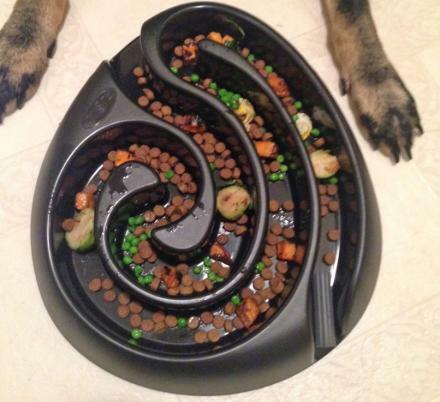 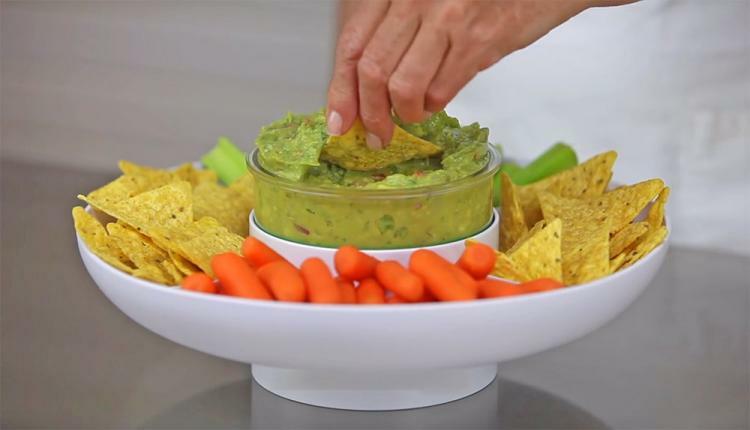 The Guac-Lock sits atop a platform in the center of the tray, while the outside is surrounded by chips. 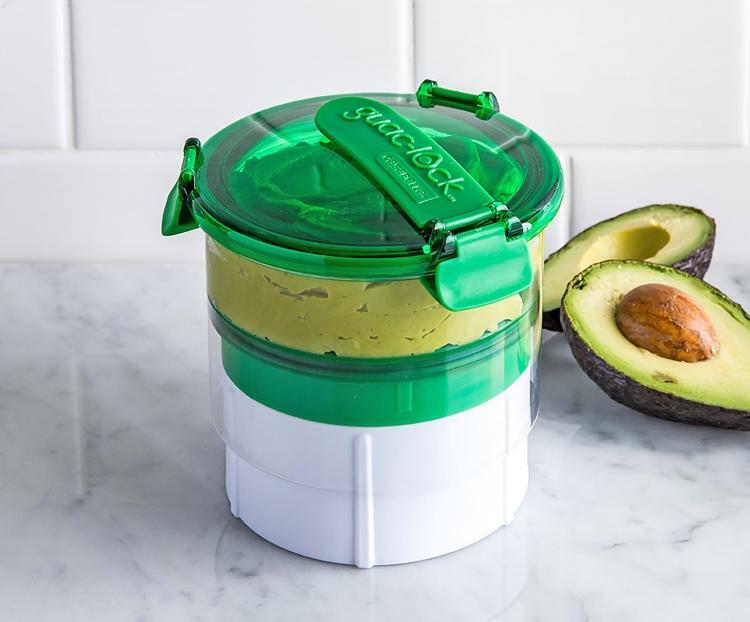 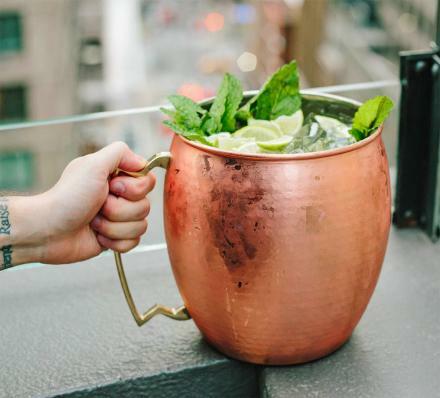 The Guac-Lock keeps your guacamole fresh for weeks compared to just hours without it, can store up to 24 oz of guacamole, is made from shatter-proof, odor-proof, stain-resistant, and BPA-free plastic, and can be used to store and serve any kind of dip. 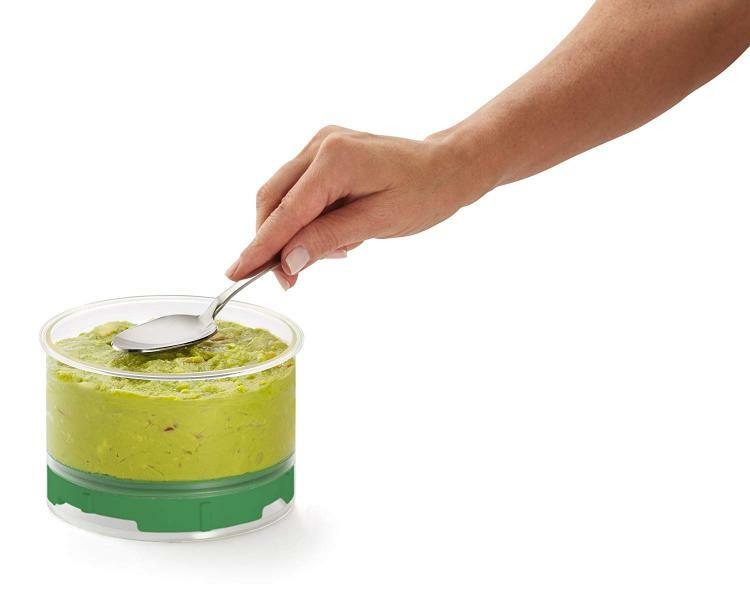 The Guac-Lock 4.75 inches in diameter x 3.5 inches tall. 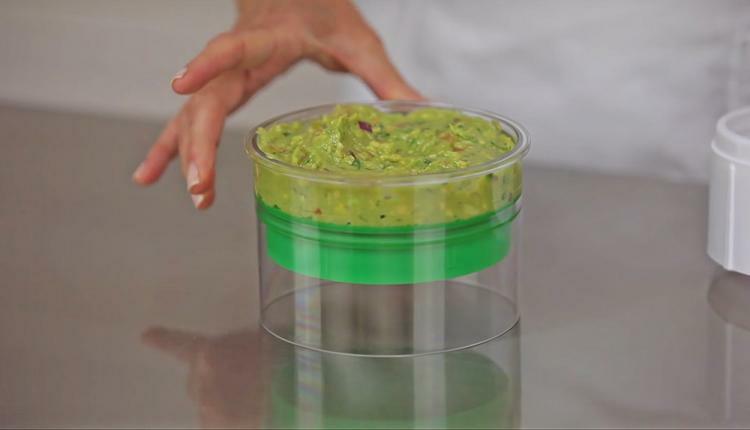 Check out the Guac-Lock guacamole storage container and serving tray in action via the video below.